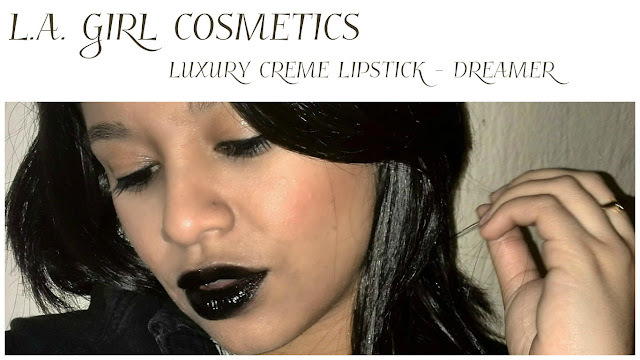 About a month or two ago I stumble upon the L.A Girl Luxury Crème Lipstick called Dreamer which is a black lipstick and I’ve been looking everywhere for black lipstick and couldn’t find it anywhere until now. 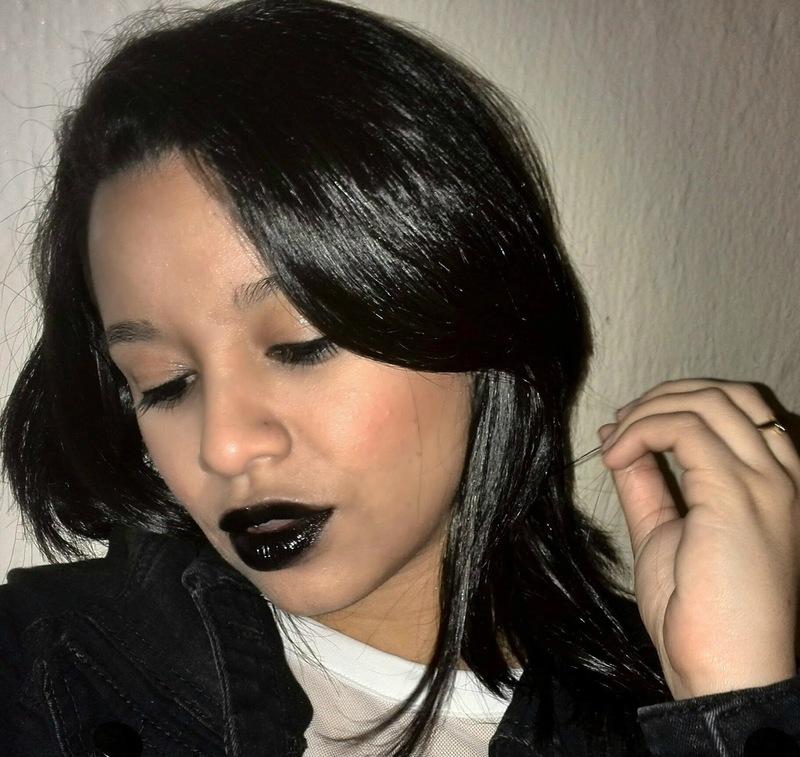 I was super excited when I finally found black lipstick and ever since I bought it, it has just been lying in my dresser because I like to admire makeup for a while before I start messing with them lol. 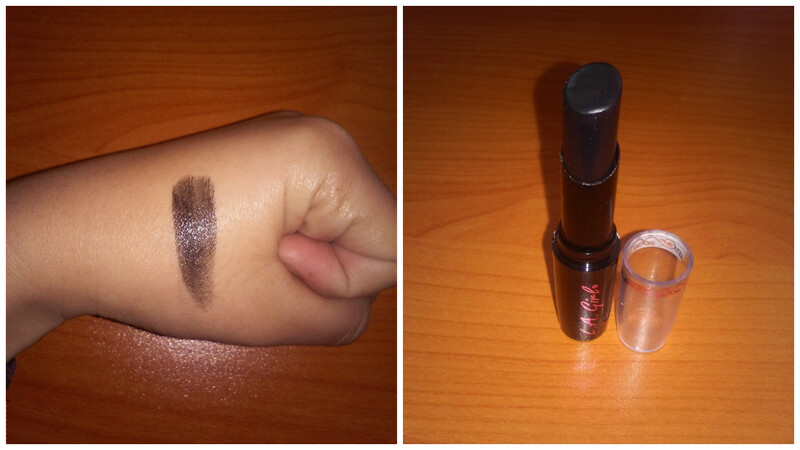 However, I finally decided to use it and here are my thoughts on this particular lipstick. What they say: Luxury Creme' Lipstick delivers ultra-rich colors in a lightweight formula. Its blend of moisturizing ingredients of aloe, shea butter & vitamin E enhances lips, leaving a smoother, healthier feel. Glides on effortlessly with the slant top, for-flawless even coverage. What I think: When I saw that L.A Girl has a black lipstick I was so over the moon that grabbed it and ran to the counter because I’ve always wanted black lipstick but could never find one. However, when I wore the lipstick for the first time I was very disappointed because when you apply it, it’s patchy and it takes a while to even out. I used a black liner to line my lips and I coloured my bottom lip with the black liner and then layered the black lipstick on top but it looked messing. The lipstick isn’t long lasting so once you done eating or drinking something you have to re-apply the colour. I personally am not happy with this lipstick but I do know that L.A Girl has another black lipstick in their Matte Flat Velvet Lipstick called Raven which I hoping to get my hands on and hopefully I will love that one. Also, if you guys know of any other place I can get a good black lipstick please let know by leaving a comment on this post. You can see how light the black lipstick is on my hand. Here I lost count of how many times I applied the lipstick to get it this dark lol. Thank you for reading! Don't forget to Like, Follow and Subscribe to my Blog.